YouTube page load is 5-times slower in Firefox and Edge than in Chrome, because YouTube’s Polymer redesign relies on the deprecated Shadow DOM v0 API only implemented in Chrome. YouTube serves a Shadow DOM polyfill to Firefox and Edge that is, unsurprisingly, slower than Chrome’s native implementation. Is there an impact on the end users? In terms of speed, it seems there is next to no impact on end users. I didn’t see a difference in load times between the videos I played but Mozilla developers are looking at more technical issues and maybe they are looking at benchmarks. I played the same video at the same resolution in Chrome, Edge, Opera and Mozilla and honestly, I didn’t see any difference. What I can definitely say is that in our eye-test Chrome was not 5x faster than any other browser. If however you use Mozilla and you can actually spot the difference, you can install the Restore Classic YouTube extension. Edge users I don’t know what to tell you. Google recommends using Chrome, a fast and secure browser. Try it? Factually, this statement isn’t inaccurate but Google uses suggestive language that seems to say the browser you are using (which isn’t Chrome) is insecure. Another odd thing I noticed was that one video was accessible in Ultra HD quality if viewed in the Chrome browser but in the Edge browser it was only limited to Full HD which is inferior. This problem was exclusive to Edge and Mozilla, as Opera (desktop) and Chrome browsers were loading the videos at the highest resolution. Maybe the Mozilla Programmer was right after all and Google are specifically targeting them and Edge. I think Google is just exercising a right they have and I don’t see the problem. What are your thoughts? Are Google playing fair? Does it even matter which browser YouTube is optimised for, especially when we consider that the Chrome browser belongs to Google? [I’m measuring the time YouTube takes to replace its wireframe layout’s gray placeholder boxes with real text when reloading a page. On my 1 Gbps internet, it takes 5 seconds in Firefox and Edge and 1 second in Chrome. Farai, you talk of eye test? Is this eye test scientific? If it’s not then please keep it out of the arena. You will end up writing about diesel-from-the-rocks or money-trees and such twaddle on an otherwise fine technical website! Dig a little more deeper. The extract above came from “pcmag.com/news….”. Before condemning an author online, I find out first who the hell they are…..saves a lot of rotten egg on the face. He was using a 1Gbps internet speed and your eye test was at what speed? … also, Mr Peterson is a Mozilla Program Manager, surely he has to be technical…you ask why? Honestly? Are you about to remove the Tech from TechZim? This is not rhetoric ….. some simple answers will suffice. No Sagitarr, the eye-test is not scientific at all but when regular people use services and products they care more about the overall experience than the benchmarks. So yes, Mr Peterson’s tests may have been scientific but in real-life use I did not see a difference. The eye-test is not being retired anytime soon amigo! 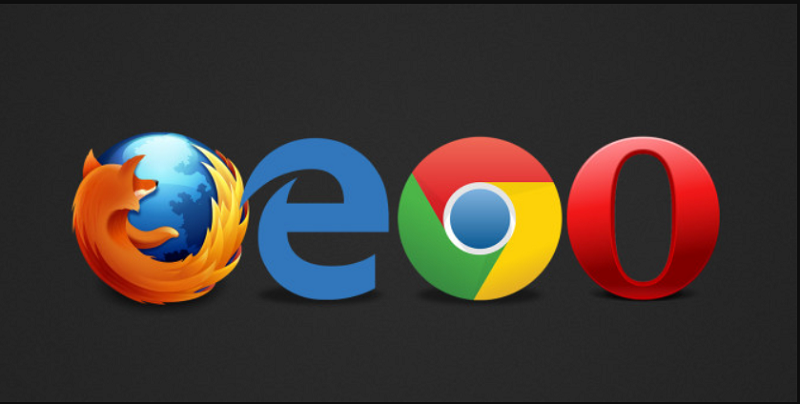 If you regularly use Edge instead of Chrome, but use Google search, you are bombarded with notifications from Google on the search page. It might not be illegal, but it sure as hell is annoying. For instance, I am constantly nagged to install the “faster” Chrome despite already having it on my PC. “Don’t be evil”has long been forgotten.